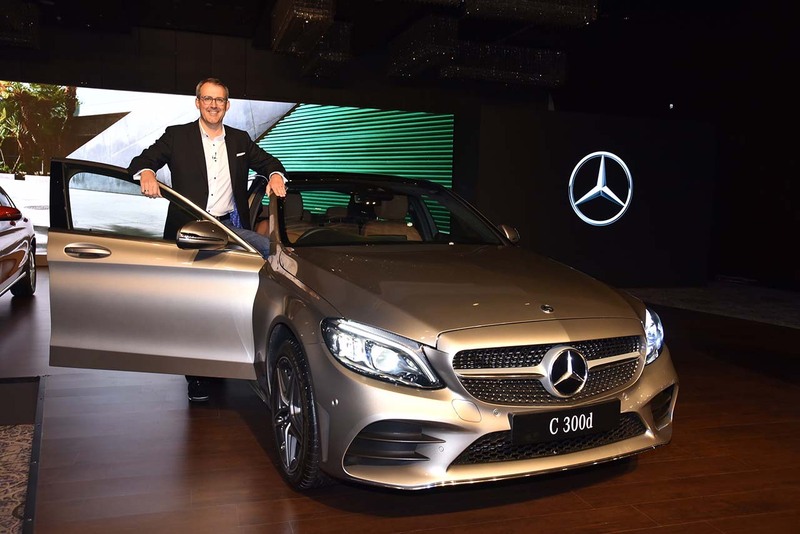 The 2018 Mercedes C-Class (facelift), which was unveiled in February 2018, has been launched in India in a price range of INR 40.00 lakhs - 48.50 lakhs. As per the manufacturer, some 6,500 components of the refreshed model are new. The biggest highlight, however, is the introduction of the BSVI-compliant version of the OM 654 diesel engine in the C 220 d and the C 300 d AMG Line. Mercedes Benz has sold over 30,500 units of the C-Class in India. Changes to the exterior are far from radical, but the host of minor updates work together to inject freshness into the almost 5-years old design. The headlamps and the taillamps gain new LED fixtures while the bumpers get a slight nip and tuck. The design of the alloy wheels is new, too. Furthermore, the C-Class is now available with a new exterior paint option - Mojave Silver. On the inside, the steering wheel is new and carries a dual touchpad control system. The cabin also receives a new 10.25-inch high-resolution screen for the COMAND infotainment system. Furthermore, the interior features a smartphone integration package, ambient lighting with 64 colours, and open-pore walnut wood trim. Under the hood, the 2018 Mercedes C-Class (facelift) sports a BSVI-compliant 2.0-litre turbocharged diesel engine that will be shared with the E-class All-Terrain. For the C220 d range, the new motor outputs a maximum power of 194 hp and a peak torque of 400 Nm. For the C300 d AMG Line, it produces 245 hp and 500 Nm. The motor comes mated to a 9-speed torque converter automatic transmission that sends power to the rear wheels. 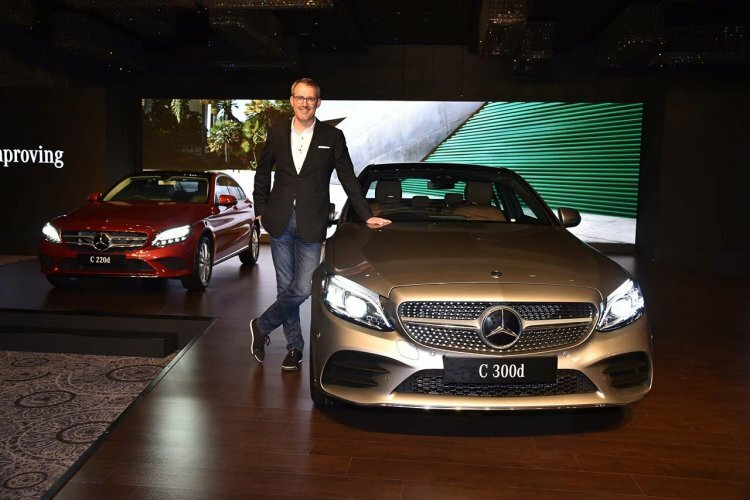 Introduction of fascinating products and their continuous honing has been key to our success and with the launch of the new C-Class, Mercedes-Benz yet again set a very high benchmark in the luxury sedan segment. This model update is the biggest in the history of the C-Class. The 2018 Mercedes C-Class (facelift) is on sale with service packages starting at INR 72,700.